Roll out the red carpet and dig out those glad rags. Bluff Europe is delighted to announce that for the second year running, The British Poker Awards will be held at the Hippodrome Casino in London. The swanky ceremony will take place on 23 February 2015 and will honour the great and good of the British poker scene. "Last year's British Poker Awards ceremony was a roaring success, and by returning to the Hippodrome we know it will be one of the highlights of the 2015 poker calendar," said Bluff Europe editor-in-chief, Michael Caselli. "We have seen some notable achievements from British players in 2014, and time is running out to vote for your favourites." The clock is indeed ticking with voters having until 31 December to choose their favourites in 16 categories. Honours up for grabs include the newly created Hand of the Year as well as a special Player's Player of the Year award. Thousands of British poker fans have already had their say. 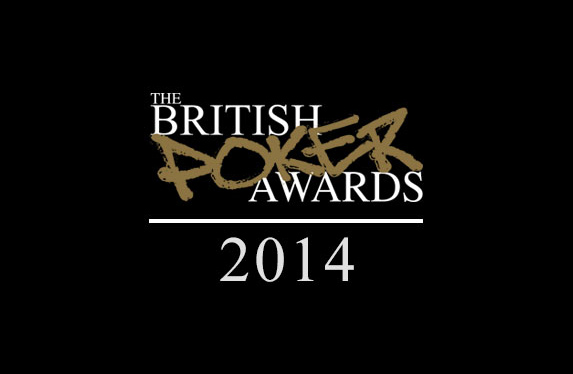 Be sure to join them by visiting www.thebritishpokerawards.com. Five lucky voters will win a pair of tickets just by picking their poker favourites. Fans wanting to rub shoulders with poker royalty will be able to do so with tickets soon to be available from the Hippodrome website. Backed by a stellar list of industry favourites including Unibet, PokerNews, PokerStrategy, CalvinAyre.com, RankingHero, Casino Life Magazine and Lyceum Media, the British Poker Awards promises to be one of the highlights of the year. You can get involved too so get voting!